A fruity wine, to appreciate between friends, before a meal. It is typical of summer barbecues, but can be drunk all year long. Only 2000 bottles are produced. 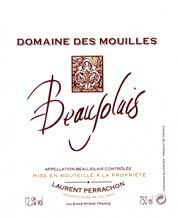 Light wine, with floral and fruity aromas. Very pleasant in the mouth. Serve at 11° C, with light meals or on their own. At its best when it is one year old.